Hearing that you have gum disease can be upsetting. At Jordan Landing Smiles, we provide effective gum disease treatment, so if you are diagnosed, don’t despair. Gum disease is an inflammation of the gums. It is caused by the bacteria in plaque, and in advanced stages can affect the bone that supports your teeth. Gingivitis. The earliest stage, it is easily treatable and reversible. Periodontitis. At this stage, the supporting structure of your teeth is irreversibly damaged. Advanced periodontitis. This is the final stage of gum disease. The fibers and bone that support the teeth are destroyed. Without aggressive treatment, teeth may need to be extracted. Gingivitis can often be reversed simply by brushing and flossing your teeth. It is caused by plaque, so a good oral health routine is usually enough to prevent it in the first place. 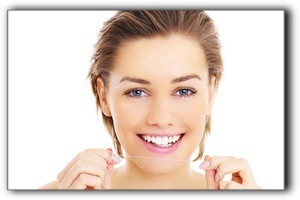 More serious cases of gum disease are treated with deep cleanings, medications, and surgery. Surgery may include gum grafting and flap surgery. The best strategy by far is to maintain healthy teeth and gums with regular brushing and flossing. At Jordan Landing Smiles, we provide gum disease treatment, along with general and cosmetic dentistry.